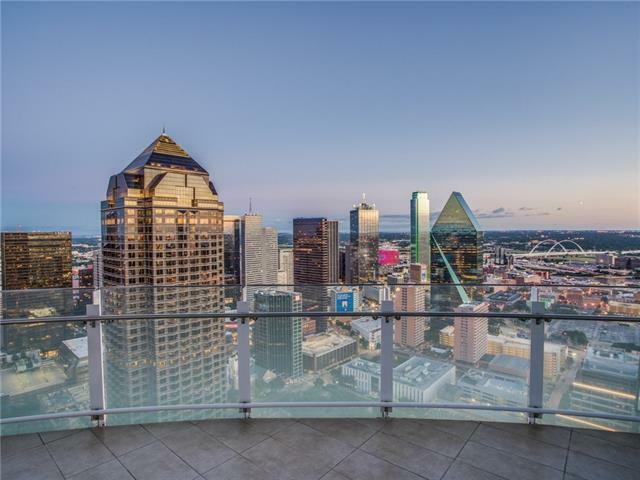 All Dallas homes currently listed for sale in Dallas as of 04/20/2019 are shown below. You can change the search criteria at any time by pressing the 'Change Search' button below. 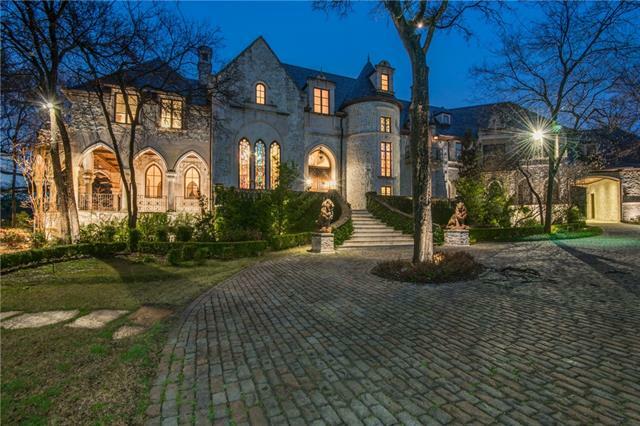 "Crespi Estate, 27,092sf limestone mansion featuring exquisite finishes throughout. 3,000 sf master suite includes his & her dressing areas & baths. Four guest bedrooms have en-suite baths. Gourmet kitchen, renovated in '18, features book-matched marble, Gaggenau appliances, La Cornue Range. The lower level is accessed by glass elevator. Extensive updates to major mechanical systems completed. 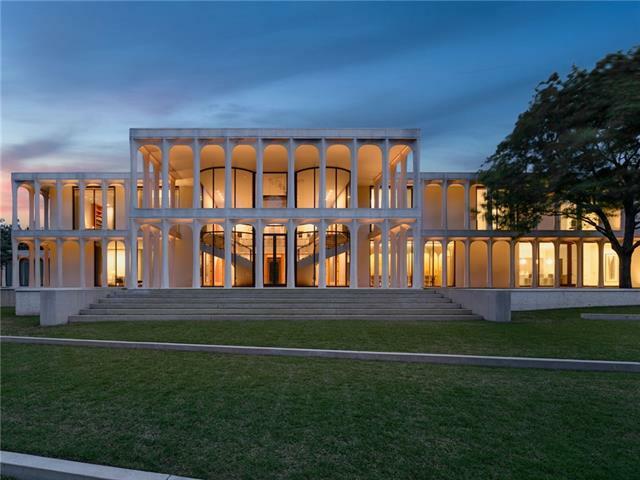 Includes a separate two story guest house, a large swimming pool adjoining a recreational pool house, as"
"It is the rarest of them all: a Philip Johnson masterpiece, never to be repeated. Built in 1964, with an exquisite and sensitive update completed in 2008, the light-filled house boasts elegant living spaces, a stunning double staircase, a unique dining room with an arched canopy, five luxurious bedrooms and eight baths. The nearly 7 parklike acres include a media house, modernist cabana, pool and tennis court. This award-winner has been featured in books, magazines and The New York Times." "Dallas Landmark Mt. 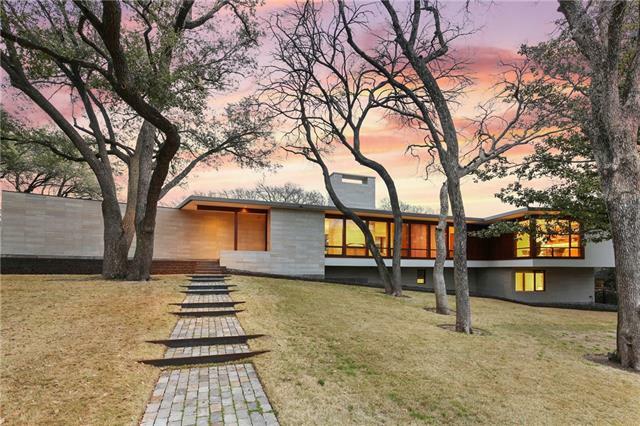 Vernon on 10 premier acres overlooking White Rock Lake. The Main Home is 10,511 sqft totally renovated and expanded in 2002. Elevator accesses 3 Levels, including the 2,400 sqft Basement and Wine Storage. Renovated outbuildings include two story Guest House, Pool House, 4 lane Bowling Center, 16 Car Concours Classic Auto Facility, Lighted Tennis Courts, Heated Pool, Putting Greens, Gazebo, Outdoor Grill, 2 Fireplaces and Pizza Oven." 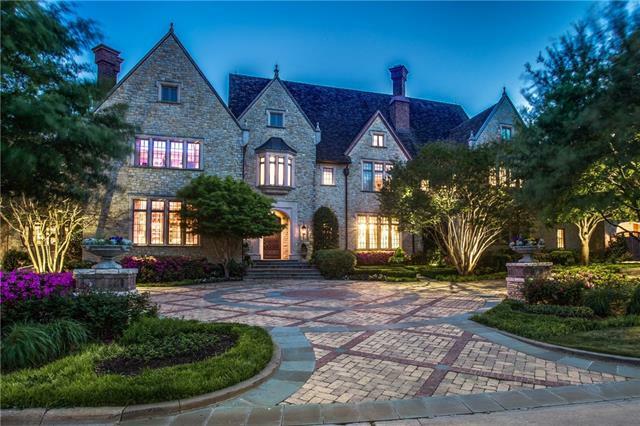 "Prestigious Preston Hollow-area estate perched on nearly 2 acres of gated, lush land. The interiors are cohesive and charming with exposed beams and sophisticated stonework. Outside features include an elegant pool with waterfall, sport court, and putting greens. An enchanting wine basement is a feature you truly have to see to appreciate. Don t miss this priceless property boasting an impressive central location." 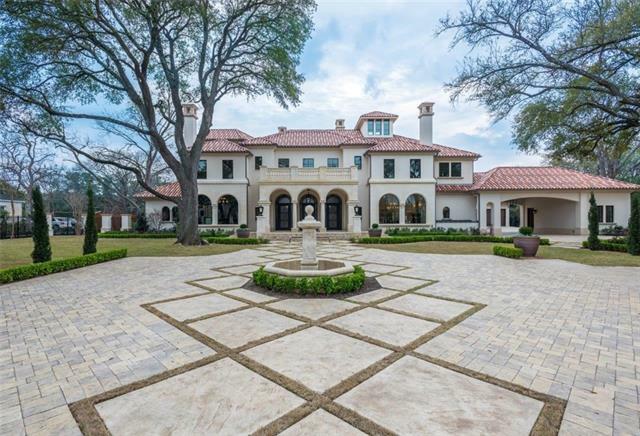 "This incredible new Italian Mediterranean estate designed by architect Patrick Ford and Bella Custom Homes is ideally located in Old Preston Hollow. With over 14,000 sf and featuring seven bedrooms, eight full baths and five half baths, this magnificent residence has seven living areas, including a media room with stadium seating, a lounge with built-in bar, a wood paneled-library, a family room with ceiling timbers, and a basement wine cellar that accommodates 5,000 bottles. The residence has a"
"Elegant landmark estate with 4+acre park-like setting at the confluence of Bachman and Browning Creeks. Timeless Georgian rebuilt in 2003. Superior quality and detail, mahogany and limestone floors, Venetian plaster walls, intricate mouldings, 6 well-appointed living areas, 4 bedroom suites up, guest suite down. Detached fitness center-guest cottage. Breathtaking grounds, pool, tennis court, and outdoor spaces all uniquely private and serene." "Located inside the premier condominium building Bleu Ciel, within the prestigious Harwood District, this sky penthouse half floor shell space brings the opportunity to create a completely custom showpiece in the sky. 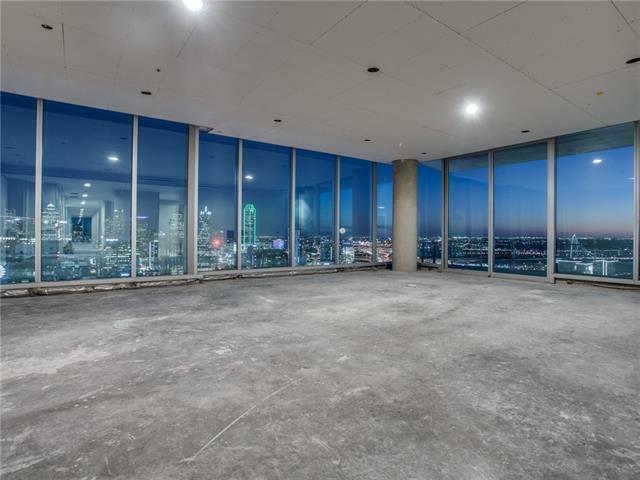 The wrap around glass front balcony is just under 2,000 sqft with three gas fireplaces and is the perfect place to enjoy your views of the Dallas skyline or the amazing sunset. Among the building amenities are a 24-hour concierge, a pool that will make you feel like you re on vaca"
"Driving through the gates of the two acre estate, you feel a sense of presence, beauty and calm. Designed by Larry Boerder & Cole Smith Jr. Entering the double metal front door, you immediately sense elegance as you see sweeping travertine staircase leading to gallery with groin-style vaulted ceiling leads to bar & living. Gourmet kitchen with walnut cabinets opens to family room, dining, wine cellar & butler's pantry. Master bed down with sitting area looking onto pool & loggia with fireplace, "
"Perched upon 2.34 acres of lush, landscaped grounds in the heart of Bluffview sits an incredibly appointed 16,000 SF French Renaissance styled residence. The world renowned architectural team remained true to classic architectural notes while appointing modern day amenities such as a first level private screening room, smart technology features, wine grotto, high end security, and show garage to name a few. Exterior amenities include a phantom screen enclosed loggia, rose garden, terraced herb g"
"Originally built by builder Talmadge Tinsley as his personal home. 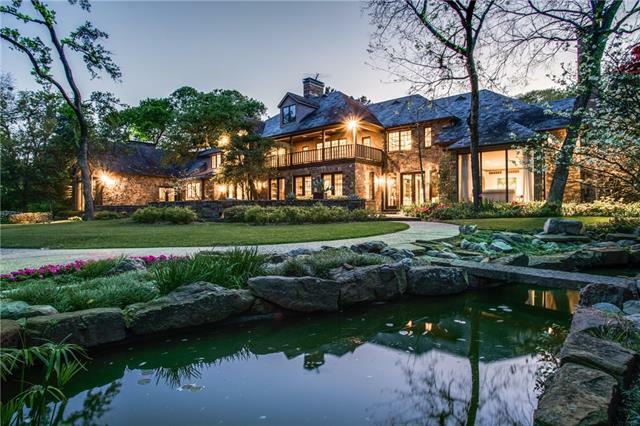 Gated & private 13,220 sqft home sits on 3.106 acres in a quiet & serene location in preston hollow. Spacious Kitchen with Living Room off the kitchen perfect to entertain w large wet bar&oversize fireplace. Private study with wet bar has view of the grounds≤ads to the master suite. Master suite includes His and Her bathrooms, His and Her closets, Yoga Room w Helo Sauna. Wine cellar downstairs can hold up to 613 bottles. 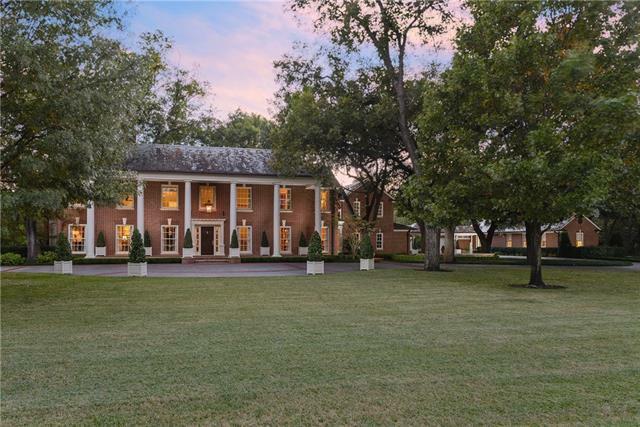 Three "
"Rare opportunity to own one of the most prominent estates in Preston Hollow. This landmark property is sited on 2.536 gated Acres that comprises of approximately 11,394 square foot main house with four en-suite bedrooms of which two are master suites, five full baths and three half baths, five living spaces, three fireplaces, commercial scale kitchen, butler pantry, pool house with indoor lap pool, tennis court, guest house and five car garage. This stately home exemplifies timeless elegance sho"
"Built by Bob Thompson and designed by Robbie Fusch, this striking European inspired residence offers the finest in materials, technology, and exquisite design features in every room. Located on main level is the 2 story library, formal living, luxurious dining with fireplace, elaborate kitchen, keeping room with fireplace and dream master suite. Lower level is an incredible entertainment suite with home theater, gaming area, dining lounge with full bar area, wine cellar, and climate controlled w"
"EXPERIENCE A TUSCAN VILLA in the Creeks of Preston Hollow. Recent enhancements to the interior and exterior of this estate have taken it from beautiful to majestic. The features, finishes and amenities are simply stunning to behold, including a three story circular staircase, the library, theater, wine cellar, gym, billiard room, salon, tanning room, and a catering kitchen, plus elevator access to seven bedrooms, eight full baths and two powder baths, as well as a five car garage. 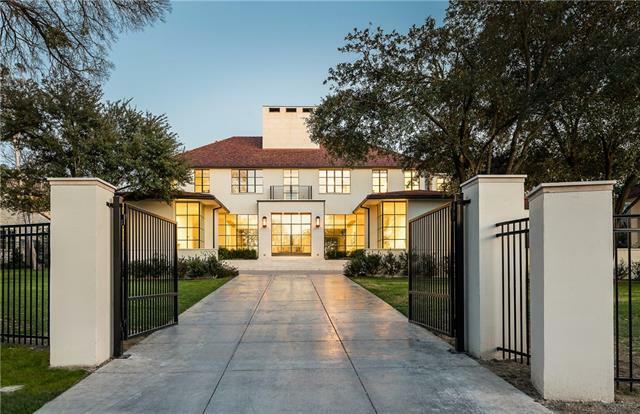 Discover ou"
"Situated on a gated 1.1 acre lot on the most coveted block of Old Preston Hollow by CID award winning builder, S&R Development, this Old Preston Hollow estate offers the utmost in luxury living. Private and secluded, it's nestled in a picturesque setting while capturing the outdoor space from within the home. A modernist sensibility blends seamlessly with elements of southern France. Open living areas are all highlighted by floor-to-ceiling steel windows with views onto the resort style pool, te"
"Penthouse Stoneleigh Residences w panoramic views. Private elevator, limestone entry floorng.Dng Rm w walls that separate.Lvng Rm w pecky cypress ceilings.FP by Robert Wohlfeld. Ktchn w hand scraped pine cabinets.Cntr tops,backsplash in Keystone Arabescato Marble.GrandBallroom w elec shades, Lee Jofa wallcovrng,wet bar,coverd terrace w views. Prvt Mstr wing w study,cast stone FP. Media Rm 4 recliners,sofa,PindlerΠndler wall covering. Mstr Bdrm w views,elec shades,balcony access. Mstr bath w he"
"French Chateau built by Ventura Custom homes graces 3.29 private acres in the exclusive, pastoral North 40 development in North Dallas. The home combines timeless finishes and thoughtful architecture, while the grounds are a wonderland of nature. Stone walking paths lead to fountains, creekside gardens, amphitheater, elegant pool, spa, soccer field, outdoor kitchen and multiple outdoor living areas. Indoors, the kitchen, dining and main floor living areas are designed for entertaining and beauti"
"Modern Masterpiece custom built by Tatum Brown and meticulously designed by Bodron+Fruit exudes the highest level of architectural detail,with abundance of space for family and entertaining. Walls of windows fill the home with natural light. Grand entry leads to living,dining,kitchen area each with their own personality and space! Kitchen has rich walnut cabinets, schist countertops,Sub Zero,dual dishwashers and warming drawers. Cantilevered study and master suite balance the design! 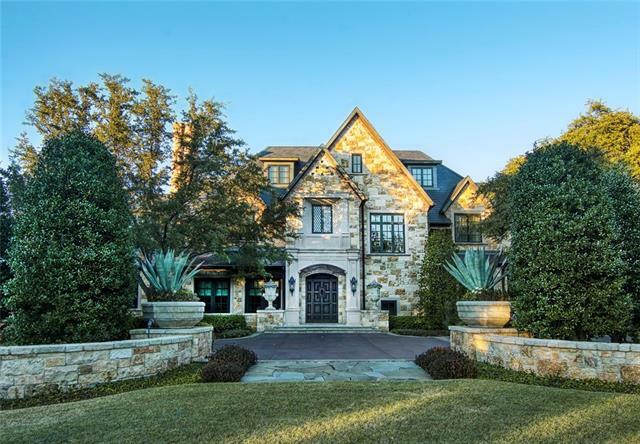 Second livi"
"A classic French ch teau in the heart of Preston Hollow will be available in the summer of 2019. Designed by Richard Drummond Davis & built by Colby Craig Custom Homes, this 11,500-square-foot luxury residence blends the best in traditional Northern European grand architecture with every modern convenience. Exceptional detail & custom craftsmanship define this elegant home. Beautifully proportioned, with 12-ft. ceilings, gracious entertaining areas, this timeless luxury estate has six bedr"
"SANTA BARBARA CLASSIC-Heart of Preston Hollow. Meticulous design by owner in tandem with Mark Molthan. Remarkable home, plus 1,133 sf of covered porches 1 level, 1+ acre of highest quality and craftmanship complimented by lush, low maintenance landscaping. Exterior features and amenities are comparable to interior with a private center courtyard, pool and fountain, spa, fire-pit, climate controlled outdoor living area, plus putting green and chipping area. Unique to this property is the indo"
"Luxurious new construction on a premium, gated one acre lot. Light and bright with barrel vaulted corridors, floor to ceiling windows, five hand carved Limestone fireplaces and gorgeous finish throughout. Wonderful flow for entertaining with spacious formals, wine room and three incredible wet bars. Chef s kitchen with double islands opening to the family room, a man cave and an office. 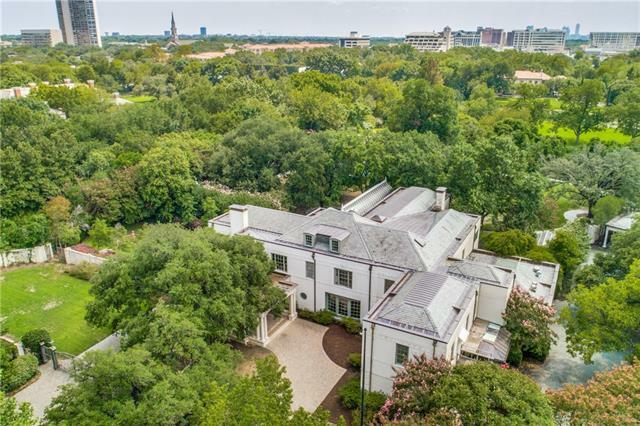 The second level boast a theater, exercise room (with back staircase to Master Suite), large game room and f"
"Absolutely gorgeous drive-up appeal to this 10,751 square foot Italian Renaissance masterpiece on one acre in Preston Hollow. Completed in 2015, the home is in pristine condition. The massive foyer with its magnificent spiral staircase opens to the formal living room with a view of the fabulous pool and expansive backyard through floor-to-ceiling windows. Also catching the eye from the foyer is the unique barrel vaulted entry framing the formal dining room and a wine cellar fit for any five-star"
"Distinctive Charles Dilbeck European-inspired estate on 1.25 acrs in Bluffview. Sprawling 8144 SF home masterfully remodeled by Ralph Deusing & Randy Clowdus. 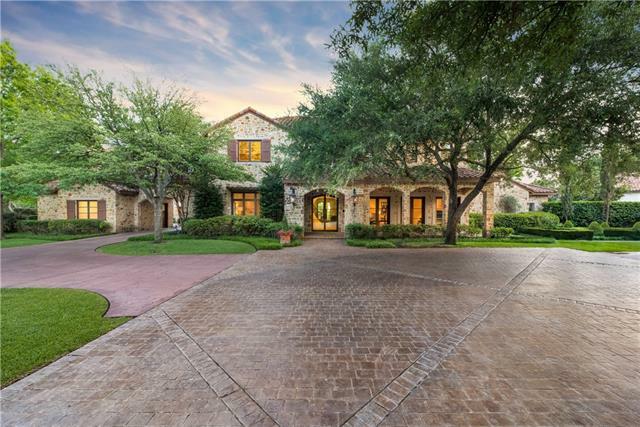 Vaulted entry guides you to formal living & dining rms, gorgeous marble chef s kitchen, sun-filled breakfast rm, keeping rm, study & wine cellar all w unique architectural elements including vaulted & exposed beam ceilings, wide plank hardwoods & stone details. 3 large guest suites & luxurious 1st level mstr w sitting area & spa bath. 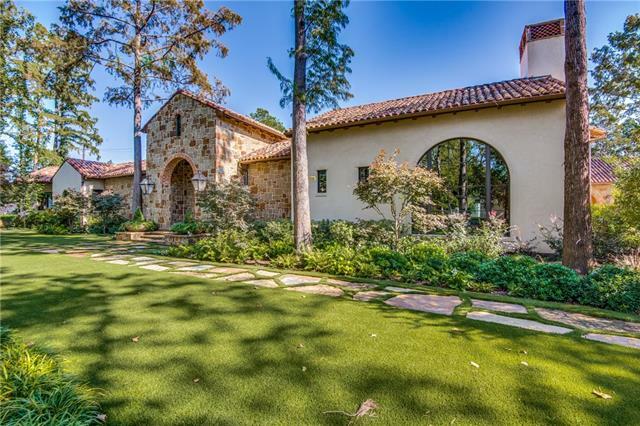 Me"
"Stunning Preston Hollow traditional on 1.214-acre corner lot just remodeled by David Stocker and Brad Ellerman. Master wing includes spa bath with walk-through shower, 25x15 custom closet, and outdoor rain shower and private courtyard-patio. Room for everyone with dedicated spaces like study, multiple living areas, game room, and media room with kitchenette. Oversized gourmet kitchen features Wolf, Subzero and Miele appliances. Spacious back yard completes the whole package with sport court, ful"
"As the now final Penthouse unit inside Museum Tower, Penthouse 4202 offers the opportunity to create a truly unique masterpiece in the sky. 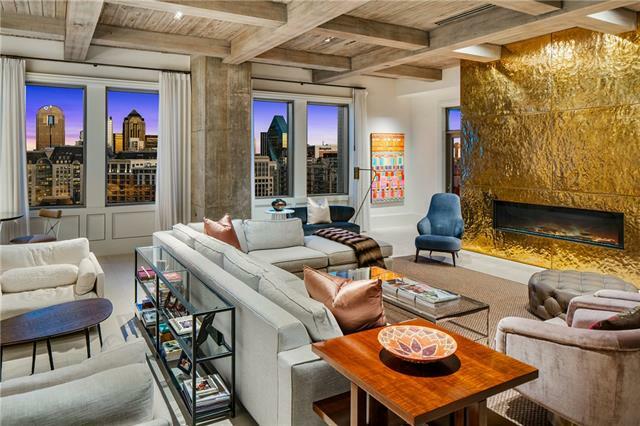 This incomparable half floor shell space delivers the highest residential home inside the Dallas Metroplex, paired with the highest ceiling heights offered in the building. Crest the top of the most coveted address in the heart of the Arts District. Flooded with light from sunrise to sunset, own witness to the dramatic and ever evolving light show the city d"